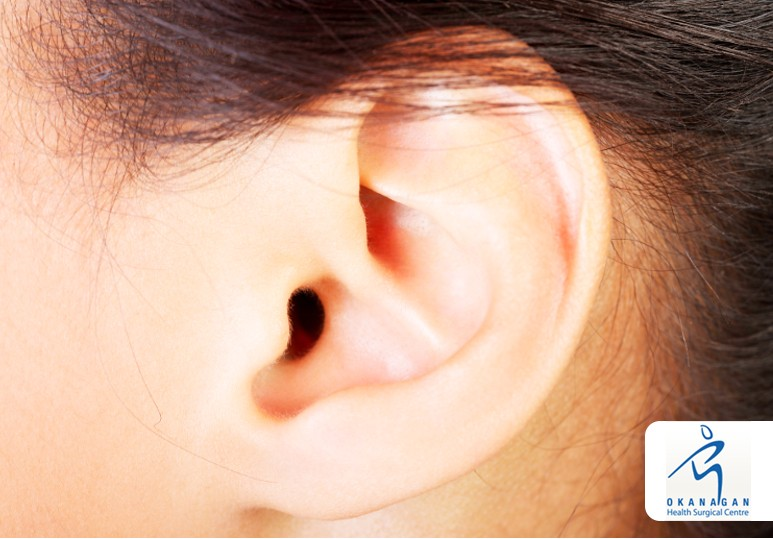 Are you unhappy with the size and shape of your ears? 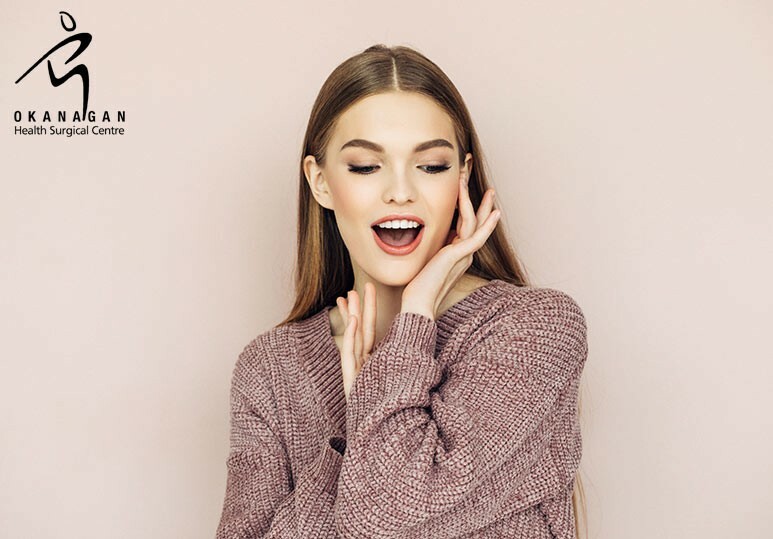 Learn more about our Kelowna ear surgery and how this cosmetic procedure can help you feel more happy and comfortable with your appearance. Otoplasty, or ear surgery, is a cosmetic procedure. . .
Are you planning on having a ganglion cyst removal procedure? Here’s what to expect from the recovery period, and how you can promote healing for the best results. Ganglion cysts are lumps that commonly occur in the hands and wrists, adjacent. . . If you’re considering a liposuction treatment but are still undecided, here are 4 reasons to opt for this highly effective cosmetic procedure. Liposuction is a highly requested body contouring procedure, designed to remove excess and stubborn. . .
Are you suffering from issues such as frequent UTIs and pain your kidneys or bladder? 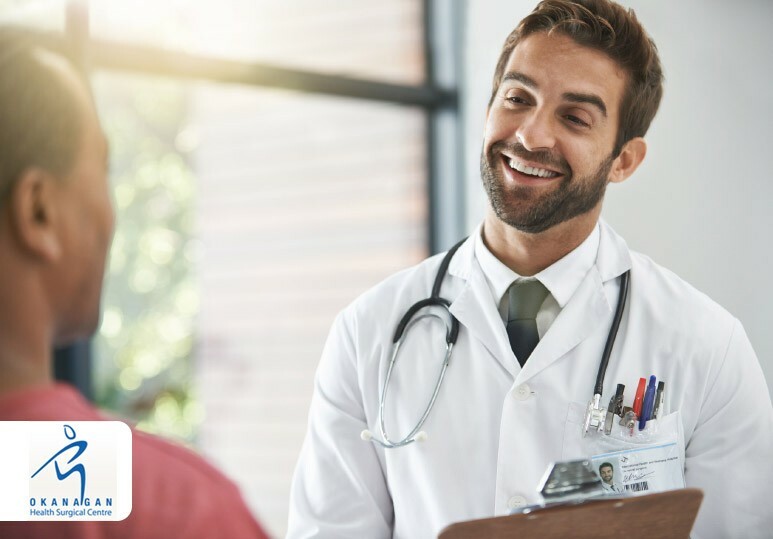 Here are 9 sure-fire signs that it’s time to see a urologist. 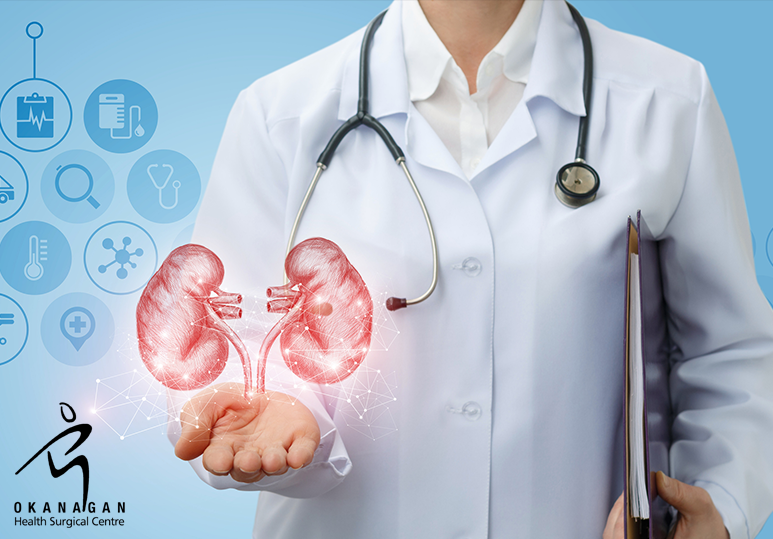 A urologist is a physician who specializes in diseases of the urinary tract and the male. . .
Are You At Risk of Developing a Ganglion Cyst? 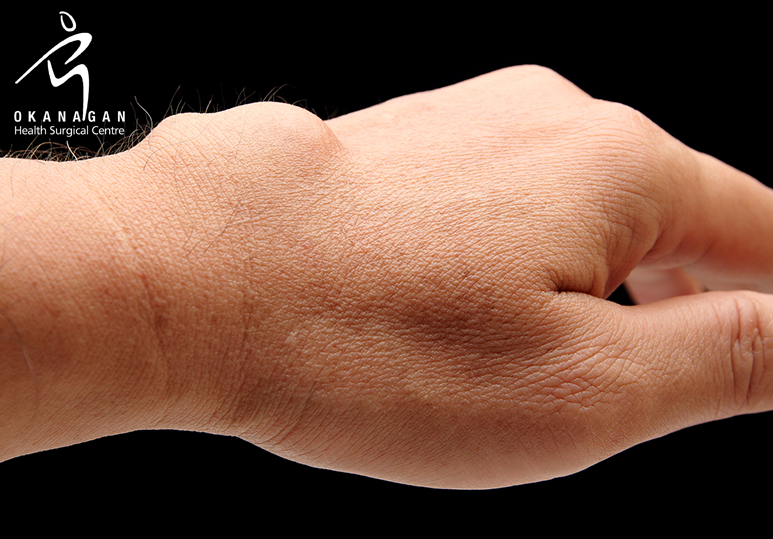 Do you have a ganglion cyst? Here are some reasons why you should consider a ganglion cyst removal, and how this procedure can enhance the function of your body and the quality of your life. Ganglion cysts are very common lumps within the. 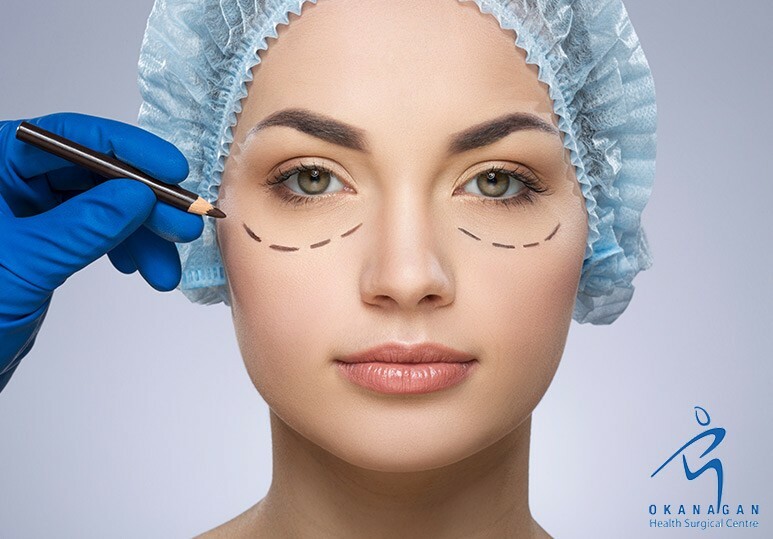 . .
An eyelid surgery is a safe and effective way to quickly rejuvenate your appearance, but as with all surgeries, there are some blepharoplasty risks you should be aware of. 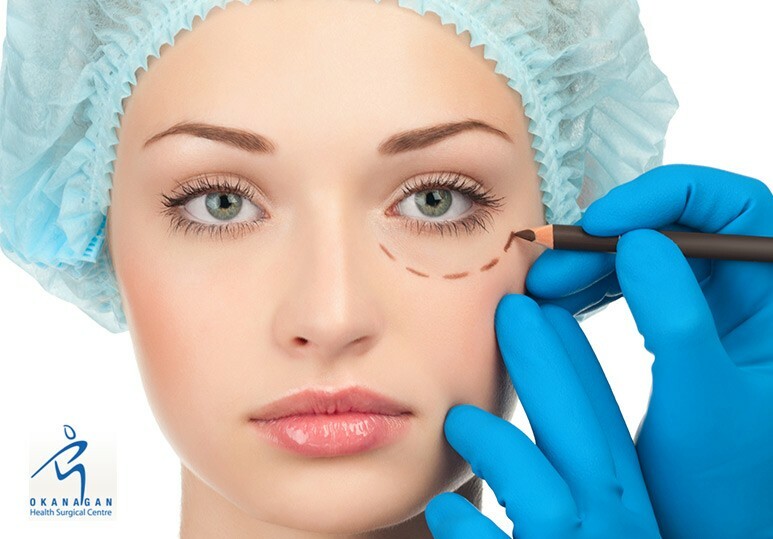 Blepharoplasty (eyelid surgery) is a cosmetic procedure that is. . .
Have you just undergone an orthopedic surgery? Here is a step by step guide on what to expect during and after your procedure. 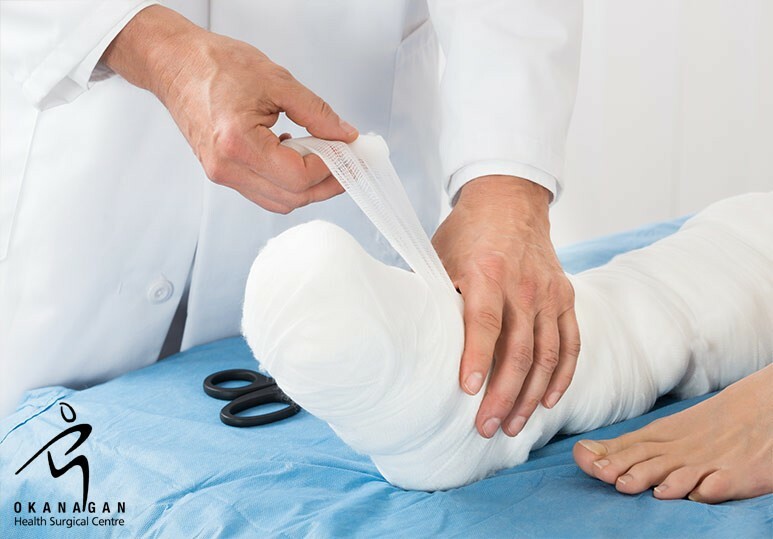 Orthopedic surgery is a highly specialized area of medical practice that deals with a wide range of musculoskeletal. . .
Are you preparing for a breast augmentation surgery? 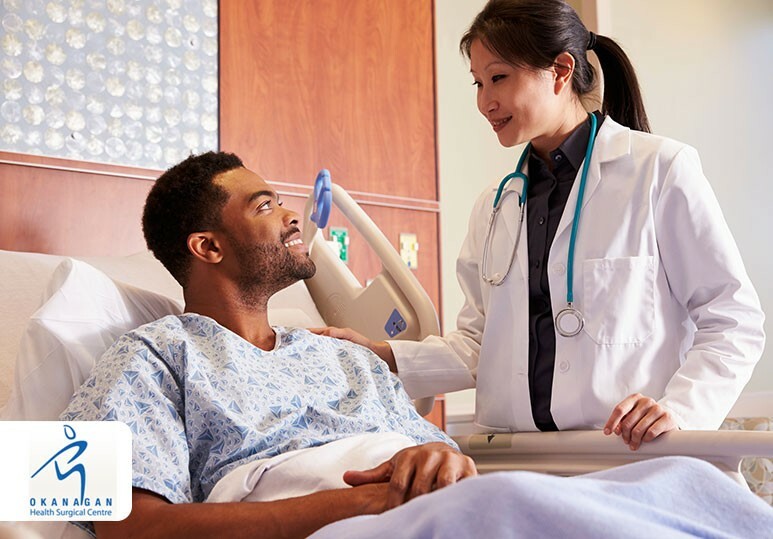 Here are a list of things you need to prepare before going to the hospital for your procedure. Breast augmentation surgery is one of the most popular cosmetic procedures in Canada, and. . .
Have you recently had shoulder surgery? Here are some post-surgery exercise tips from the surgeons at our Kelowna hospital to help you stay healthy and recover quickly and safely. Do you have a shoulder injury that is not improving with. . .
Are you considering having a cosmetic procedure? Here are 4 reasons why winter is the perfect time for plastic surgery. If you’re considering cosmetic surgery to address any aesthetic concerns, whether it’s a facelift or breast. . .
Have you just had knee surgery? Here are 5 essential dos and don’ts to follow to ensure a smooth road to recovery. Similar to many other joints in your body, your knees are vital to daily life and any injury/damage to this area can hinder. . .
Are you looking for a way to naturally rejuvenate your facial appearance? Here’s how to know whether you are a good candidate for a facelift. 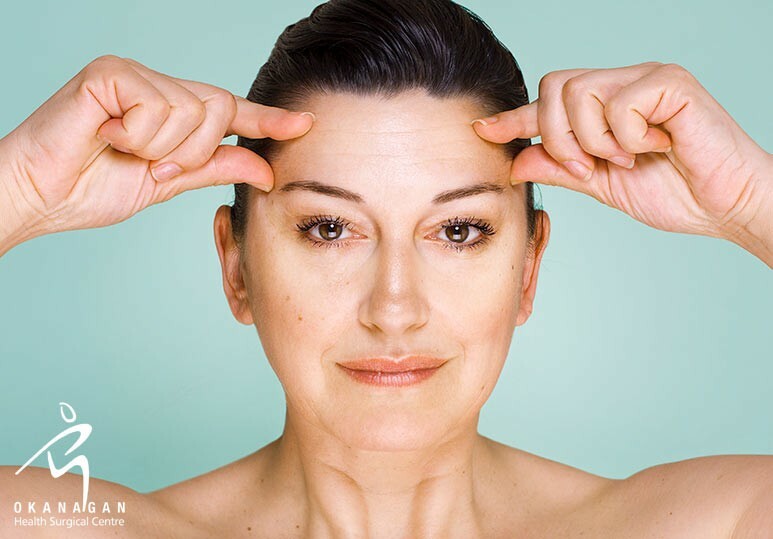 One of the most popular cosmetic procedures in Canada, and around the world, is a facelift. . .
Is your teen interested in having a cosmetic surgery? Talking to a board-certified plastic surgeon about the pros and cons of having plastic surgery at a young age can be very helpful in making the safest, most informed decision. Plastic. . .
Are you feeling nervous about your upcoming cosmetic surgery? From talking with your plastic surgeon to stopping smoking, here are 4 things you can do to calm those jittery nerves. When you are facing an upcoming cosmetic surgery, be it a. . .
Are you undergoing a forehead lift surgery? Here’s what to expect during the recovery period and how to get the safest, most satisfactory results. When performed by a qualified, board-certified plastic surgeon, a forehead lift is one of the. . .
Are you looking for a safe and effective method of facial rejuvenation? Here’s everything you need to know about our customized forehead lifts and how this procedure can help you restore a naturally youthful appearance. The effects of aging. . .
Are you considering a breast augmentation surgery? Here’s everything you need to know about implant profiles and how they can affect the outcome of your procedure. With the incredible advancements in cosmetic surgery, there are a wide. . .
Are you considering a plastic surgery procedure? Here are some essential nutrition tips to help boost your health and speed up your recovery period. 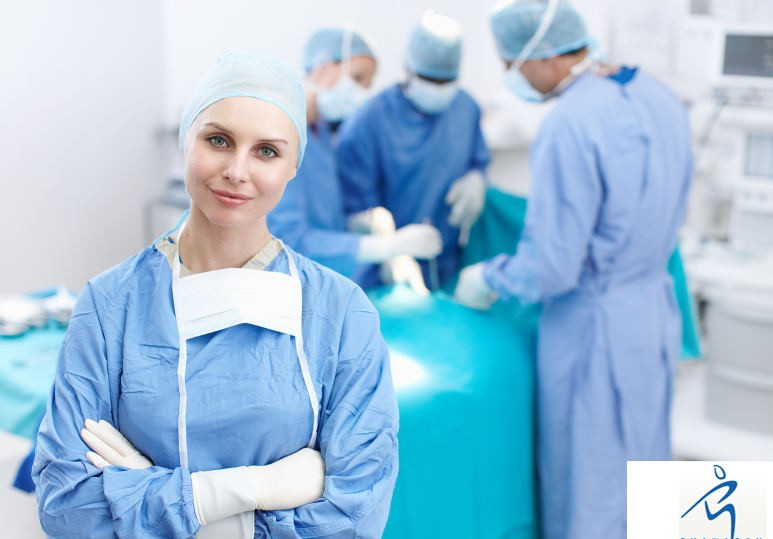 One of the most crucial aspects of any plastic surgery, be it an abdominoplasty or a breast. 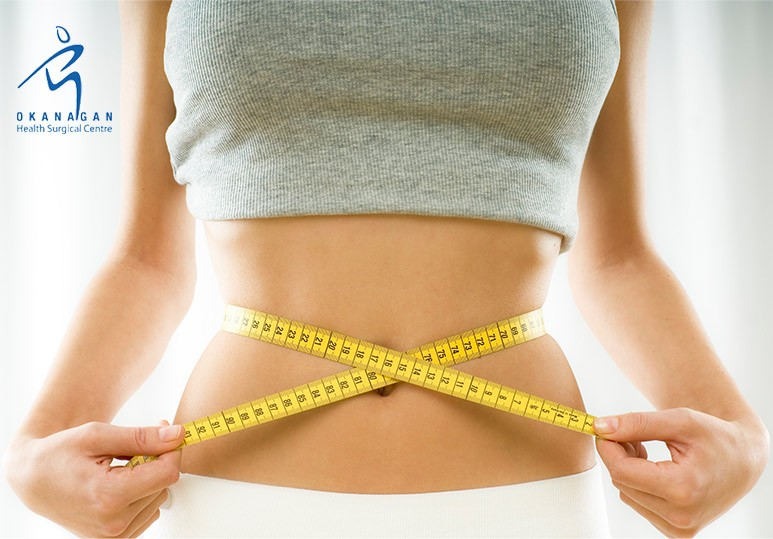 . .
Are You a Good Candidate For a Body Contouring Procedure? 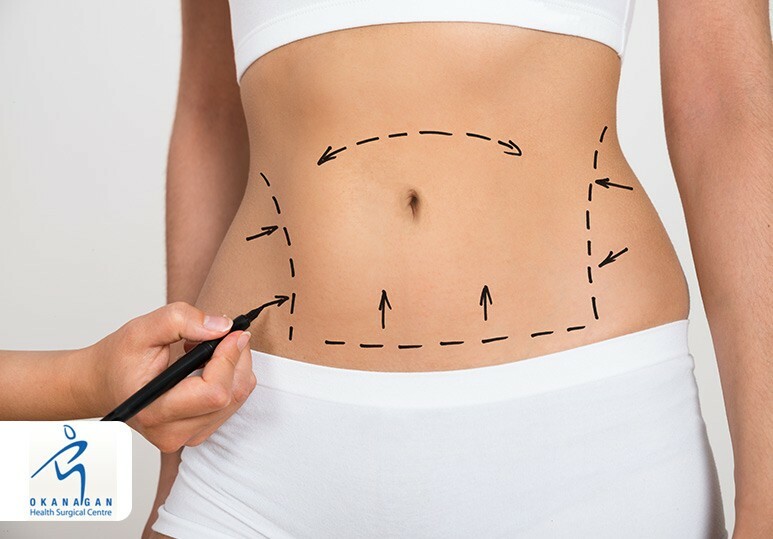 Are you considering a surgical body contouring procedure such as an abdominoplasty or liposuction? Here are some of the questions you need to ask your plastic surgeon first. Following events such as pregnancy and significant weight loss, the. . .
Have you just had a breast augmentation procedure? 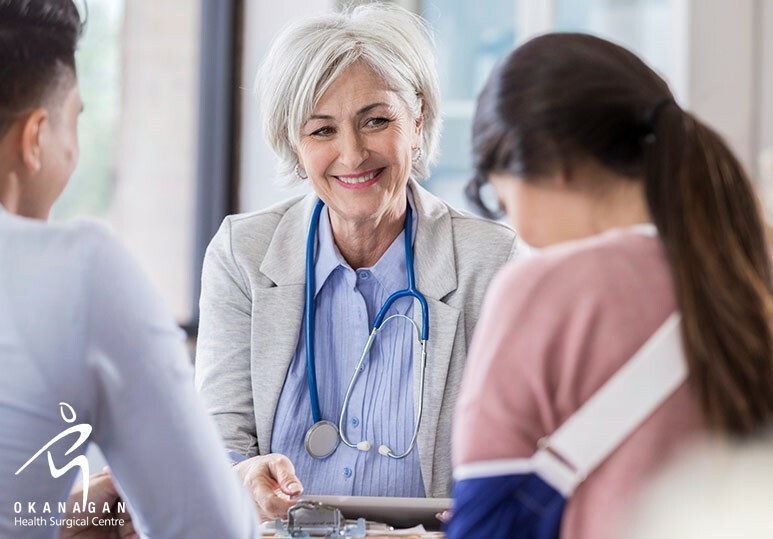 Here’s everything you need to know about capsular contracture and how the team of plastic surgeons at our Kelowna hospital can ensure that you have the safest and most pleasing. . .
A breast reduction can be a life-changing event. Here’s what to expect from this cosmetic procedure and how to ensure you get the safest, most pleasing results. All women deserve to enjoy a high quality of life but for some patients, the. 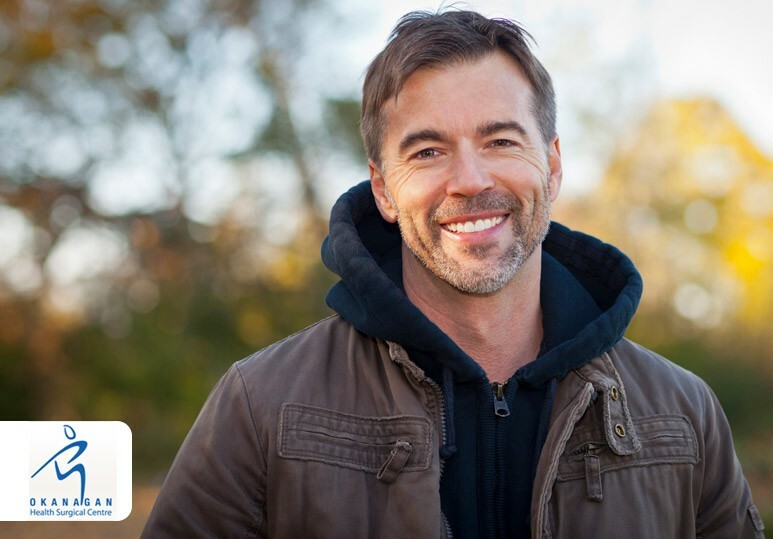 . .
A vasectomy is often considered a permanent method of birth control but did you know that a person can get a vasectomy reversal in order to become fertile again? 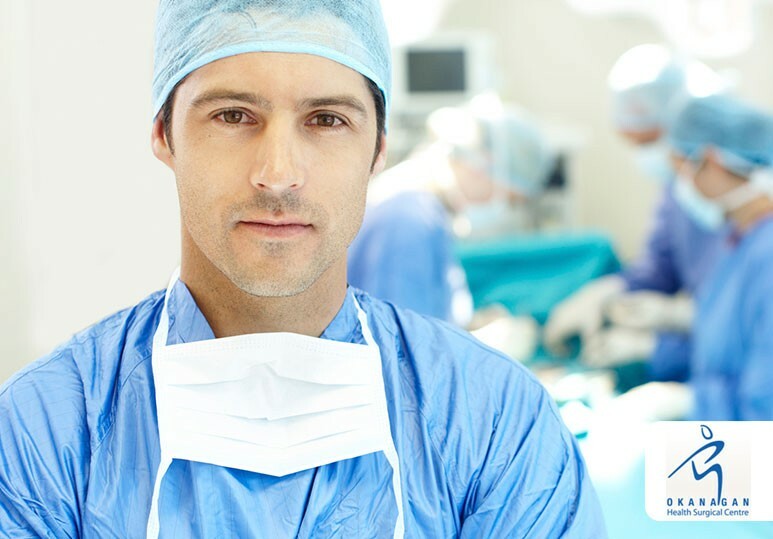 While a vasectomy is still considered a reliable and permanent form of. . .
Is foot/ankle pain preventing you from living a comfortable life? 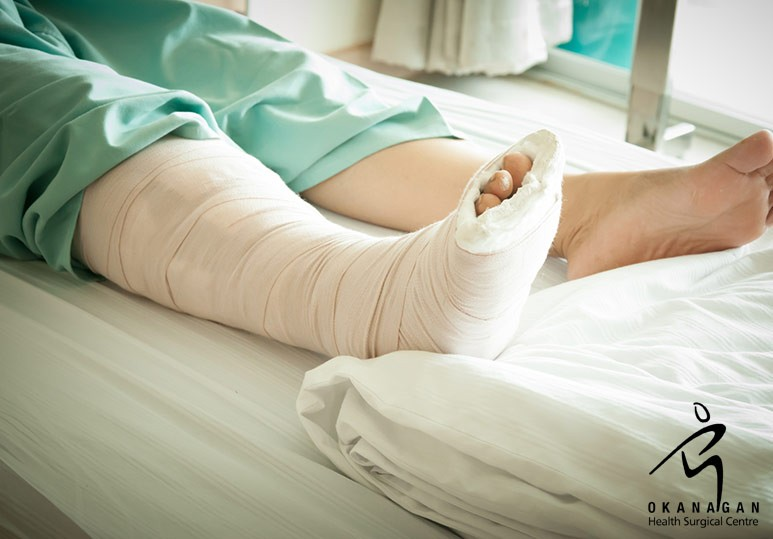 Learn more about how the foot and ankle surgeries at our Kelowna private hospital can safely restore your function and movement. 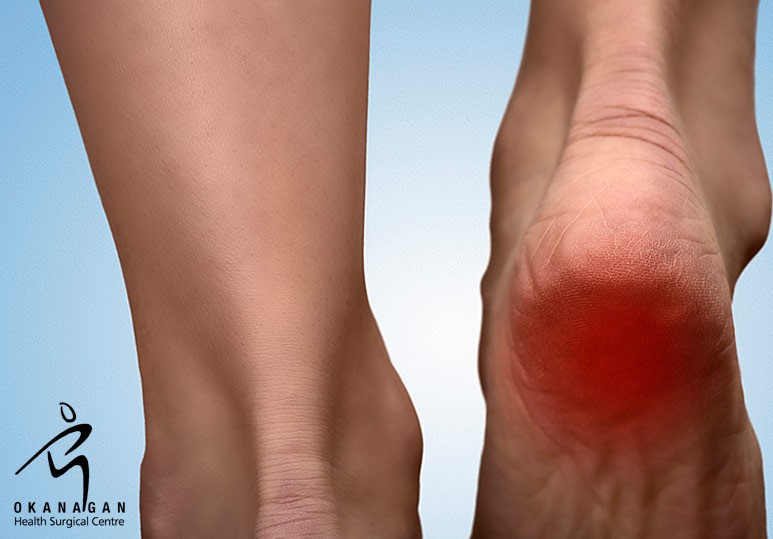 Are you suffering from foot or ankle pain? . . . Choosing the right implant is a crucial part of your breast augmentation surgery. Here are 3 tips on how to make the best decision when it comes to your aesthetic goals. Breast augmentation is one of the most popular cosmetic surgeries in. 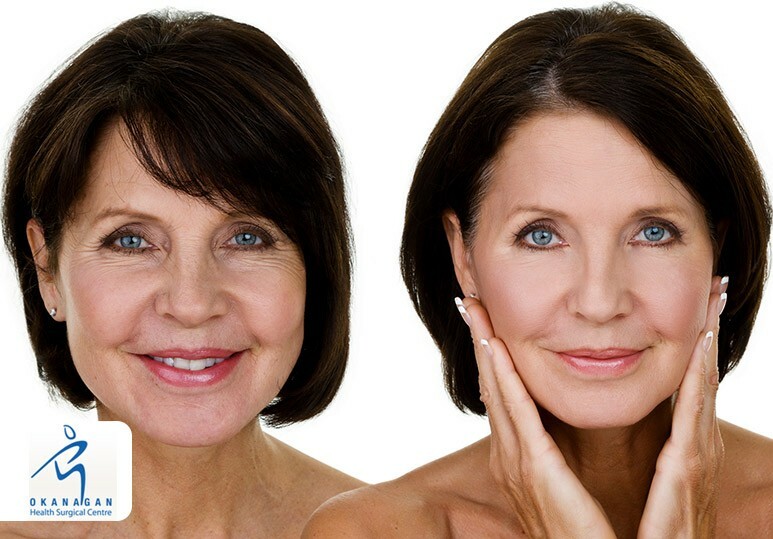 . .
Are you looking for a safe and quick anti-ageing cosmetic surgery to restore your natural youthfulness? 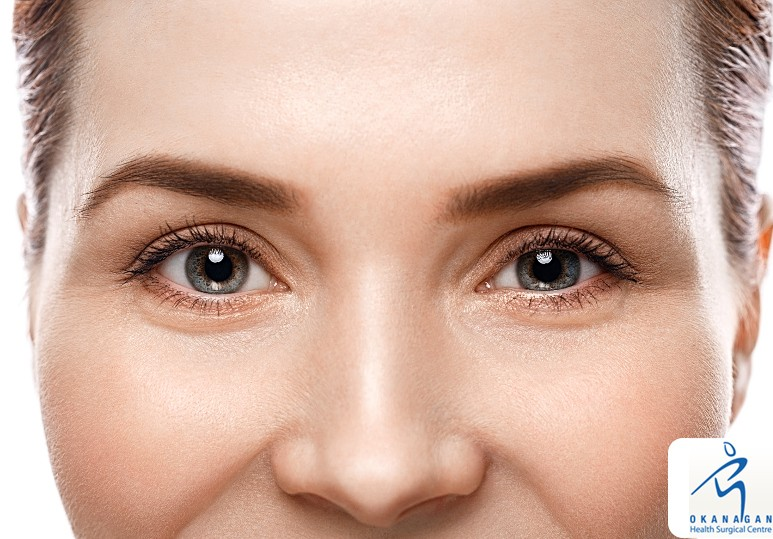 Learn about the incredible cosmetic and non-cosmetic benefits of our Kelowna eyelid surgery. 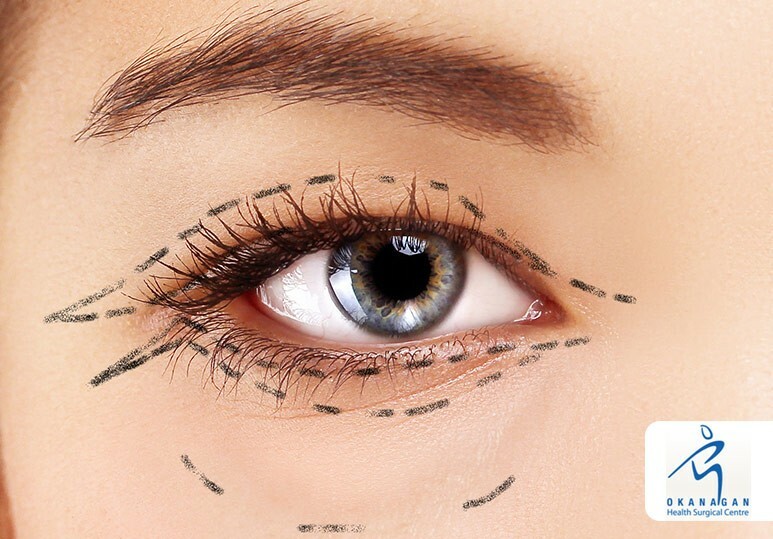 Blepharoplasty, more commonly referred to as. . .
Are you considering cosmetic surgery to enhance the appearance of your breasts? Here are 4 dos and don’ts to get the best breast augmentation results. Breast augmentation has long been one of the most popular cosmetic surgeries in the. . .
Are you considering nasal surgery? Here are our top rhinoplasty recovery tips to help you get the safest and most pleasing results. Your nose is one of your most important features and its appearance can determine how comfortable and. . .
Do you have signs of facial asymmetry that you want to correct? Here’s how the customized face surgery at our Kelowna private hospital can help. 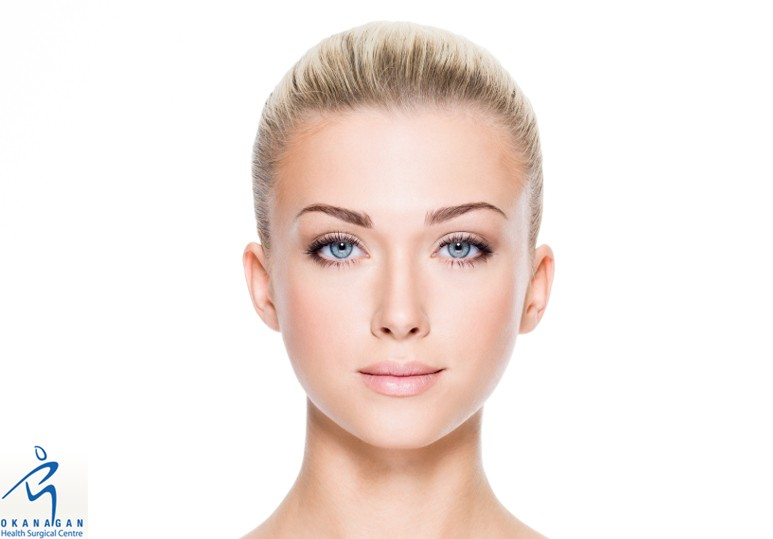 Facial asymmetry can be present in almost any of your features including your nostrils, eyes,. . .
Are you considering a breast augmentation procedure? 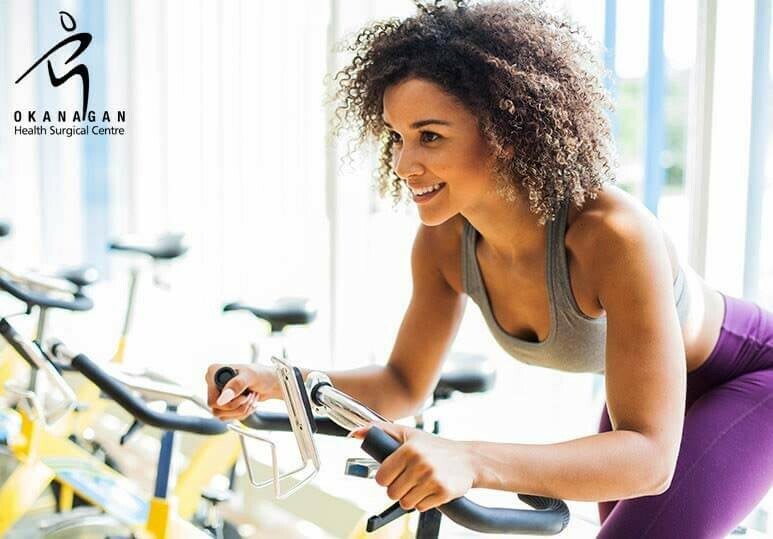 Here are some helpful tips from the team at our Kelowna private hospital on how to stay in shape during your recovery period. One of the most important aspects of any cosmetic procedure, such. . .
Are you looking for a procedure that can safely enhance your appearance? Here are 5 signs that you’re the ideal candidate for cosmetic surgery. 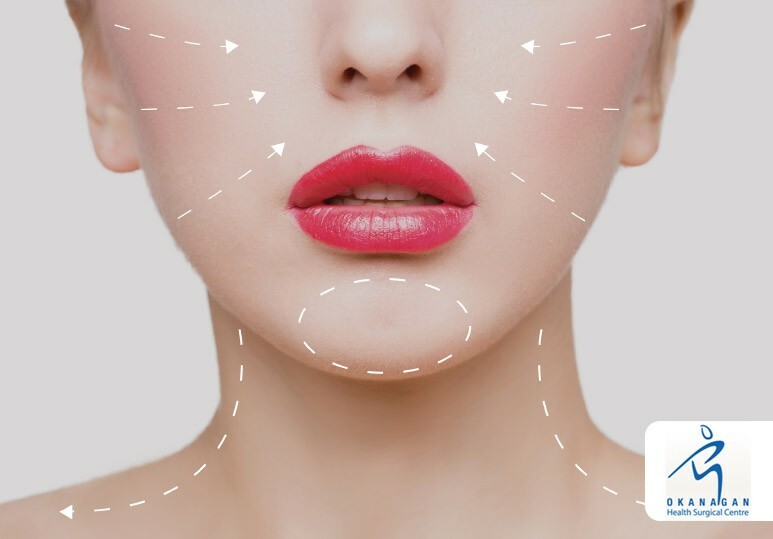 From traditional surgeries such as facelifts and breast augmentation to newer techniques and. . .
Are you suffering from a damaged or fractured heel bone? 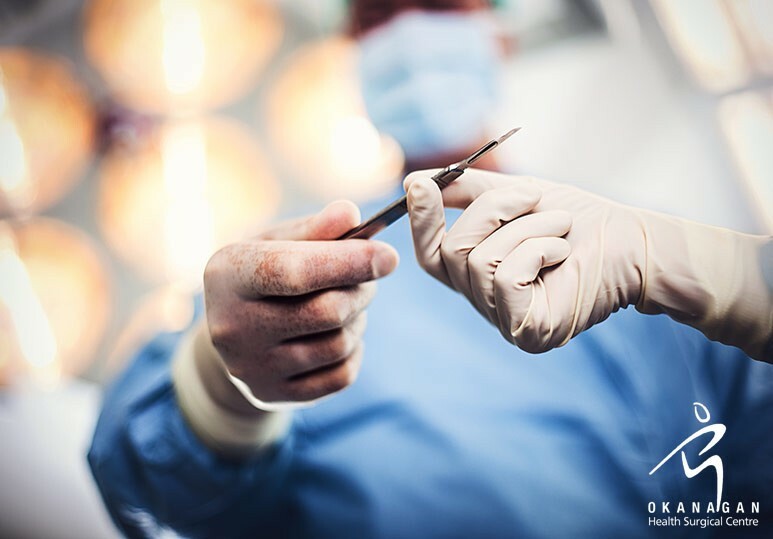 Learn more about the costs and benefits of the calcaneal osteotomy procedure at our Kelowna private hospital, and how we can help get you comfortably back on your feet. Has an injury. . .
Are you experiencing sharp pain when you cough or lift heavy items? 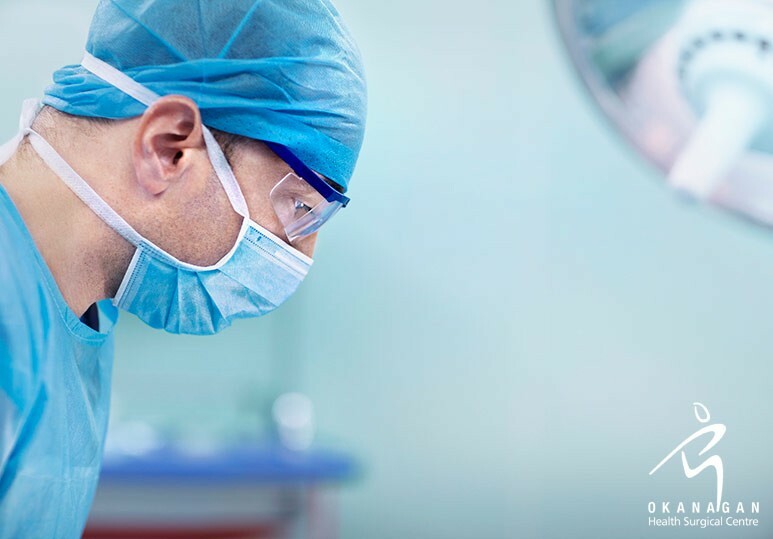 Learn more about the hernia repair procedures at our Kelowna private hospital, and how our surgeons can quickly relieve your pain and restore the function to your body. A. . . Breast augmentation is one of the most popularly requested cosmetic surgeries in Canada. 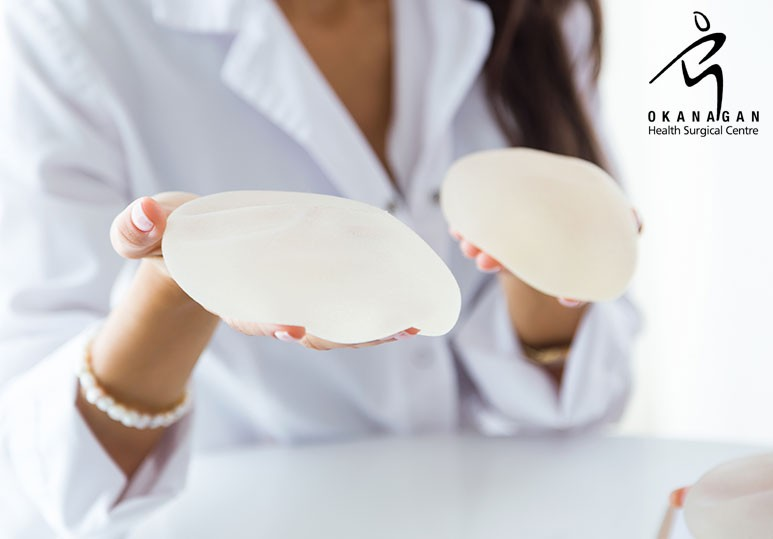 Here’s how to reduce your breast implant risks and ensure you get the safe and beautiful results you desire. Breast augmentation is one of the most. 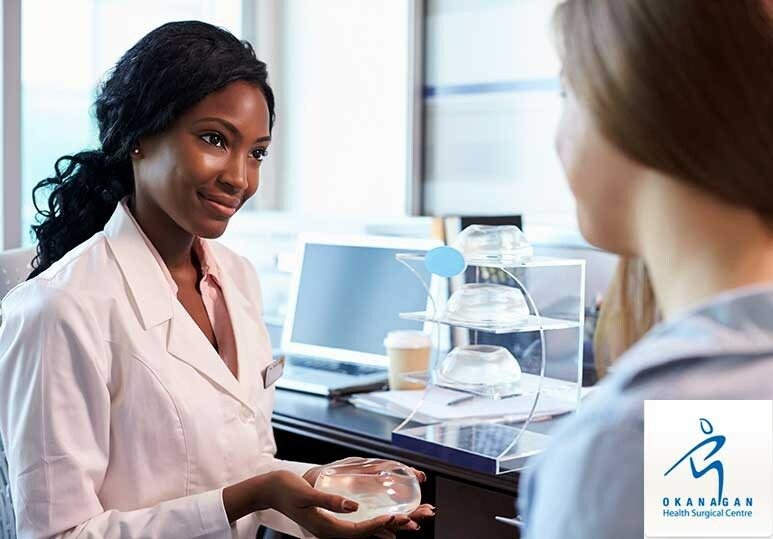 . .
Are you considering a breast augmentation? 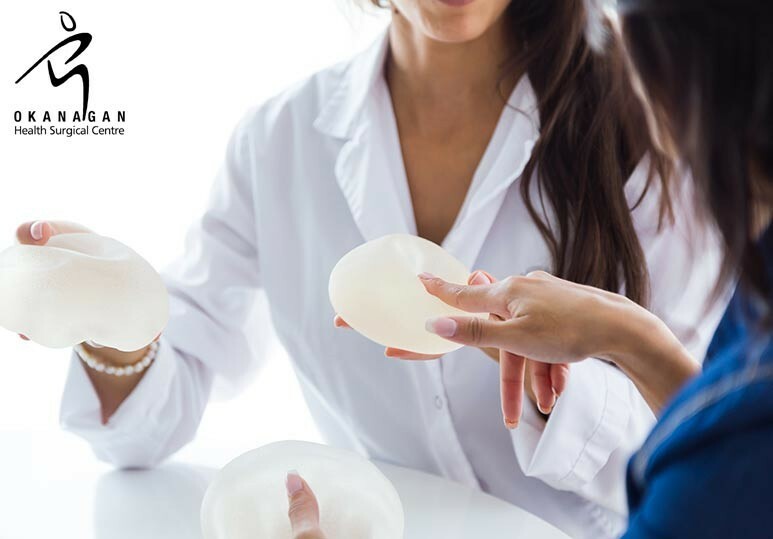 Here’s everything you need to know about choosing the right implant volumes for your breast surgery. Breast augmentation is one of the most popular types of cosmetic breast surgeries in Canada, and. . .
Are You a Suitable Candidate For an Abdominoplasty? Are you considering an abdominoplasty? Here are six signs that you’re a good candidate for the tummy tuck procedure. An abdominoplasty, or a tummy tuck, is a cosmetic surgery procedure that is designed to tighten muscles and remove excess. . . Private Vs Public Hospitals: Which Choice is Right For You? 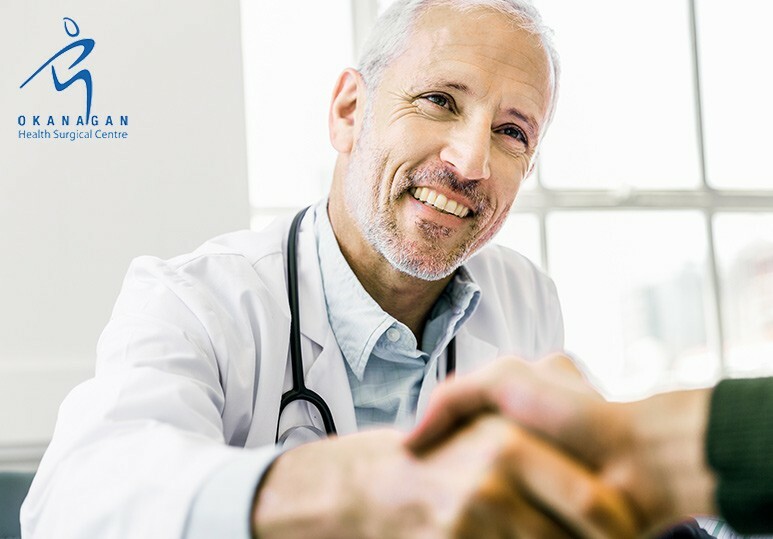 From general surgery to specialized orthopaedic, cosmetic, and urology treatments, our Kelowna Private Hospital has the team and state-of-the-art facilities to give you the quality healthcare you deserve. Quality of care is a key component of. . .
Are you suffering from a knee injury? 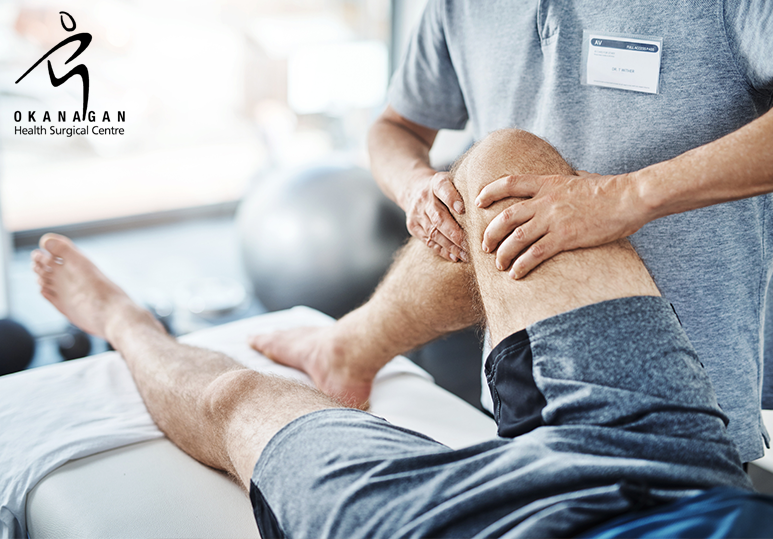 Here is everything you need to know about the customized and safe arthroscopic knee surgeries at our Kelowna Private Hospital. If you are suffering from a knee injury that is not improving with non-surgical. . .
Are you suffering from a shoulder injury? Here is everything you need to know about the customized and safe arthroscopic shoulder surgeries at our Kelowna Private Hospital. 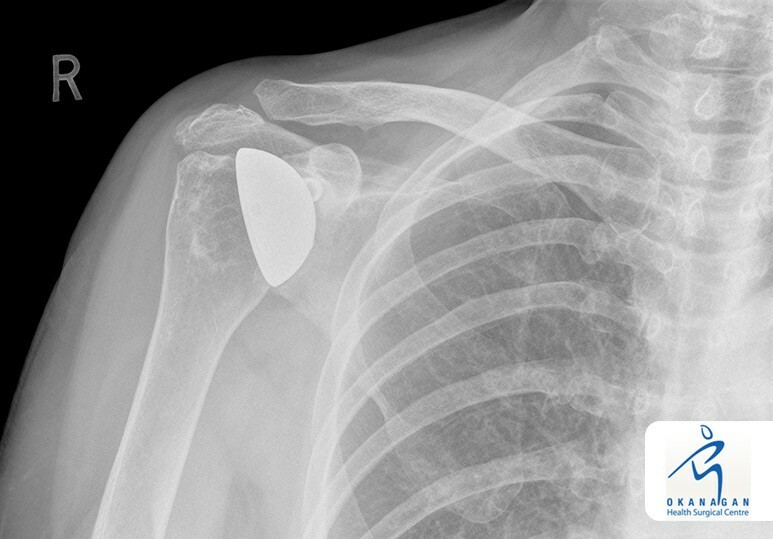 If you have a shoulder injury that is not improving with non-surgical. . .
Are you considering breast lift surgery? Here’s what questions to expect from your plastic surgeon during the consultation. One of the most commonly requested cosmetic surgeries is a breast lift, a procedure that is designed to reshape the. . .
What's the Difference Between Plastic and Cosmetic Surgery? If you use the terms plastic surgery and cosmetic surgery interchangeably, you’re not alone! However, there are fine distinctions between the two that are important for any potential patient to understand. Whether it is reconstructive surgery. 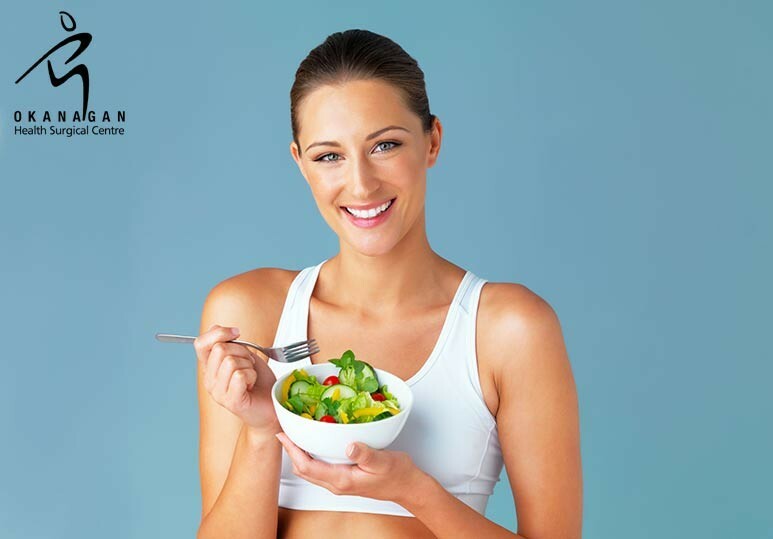 . .
Do you have stubborn pockets of fat that refuse to go away, even with diet and exercise? The customized body contouring procedures at our Kelowna hospital can help you achieve a smoother, more toned appearance. Body contouring procedures. . .
Can I Have Multiple Cosmetic Surgeries at the Same Time? Have you ever wondered if you can combine multiple cosmetic surgeries in one treatment? When performed by a board-certified plastic surgeon, cosmetic procedures such as a facelift, breast augmentation, or liposuction, are safe and effective. 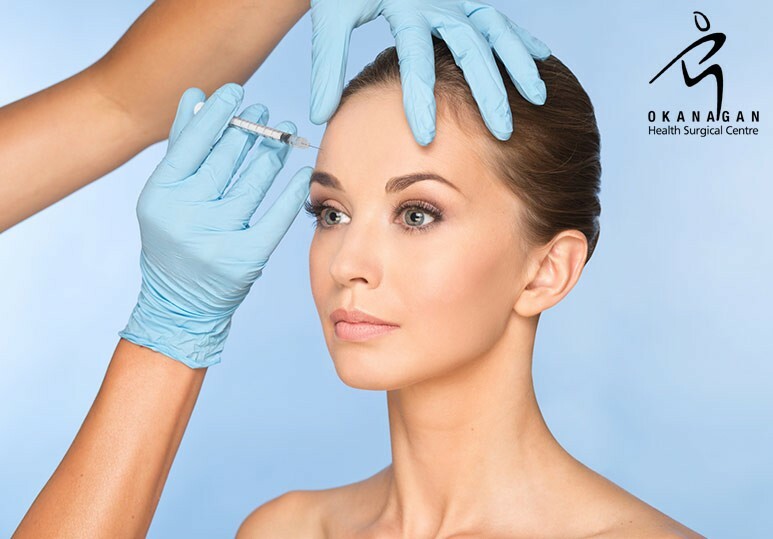 . .
Botox or Necklift - Which Is The Right Option For You? Looking to dramatically rejuvenate your facial appearance? From traditional necklifts to customized Botox treatments, we have everything you need to enhance your features and create a youthful, beautiful look. Cosmetic surgery to rejuvenate. . .
Are you unhappy with the size or shape of your nose? Our customized nasal surgery procedures can help you achieve a balanced and proportionally-pleasing facial appearance. Your nose is a central feature of your face and how it looks can. . . Maintain your healthy, vibrant glow with these easy-to-follow microdermabrasion aftercare tips. 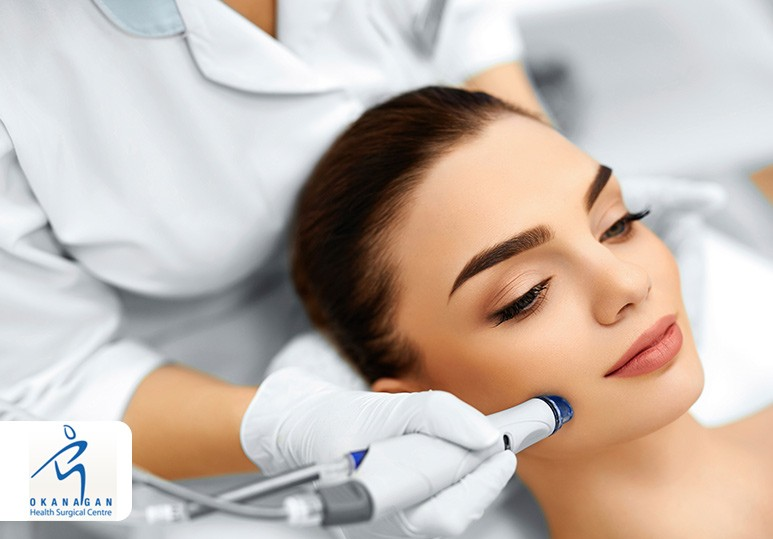 While microdermabrasion might sound vaguely painful, it’s actually one of the most gentle, fastest, and non-invasive cosmetic skin treatments. . .
Mole removal is a common outpatient surgery that results in a blemish-free, aesthetically pleasing appearance. Skin moles are small to large clusters of pigmented cells that appear as small, dark spots on the skin and can vary greatly in size. . . 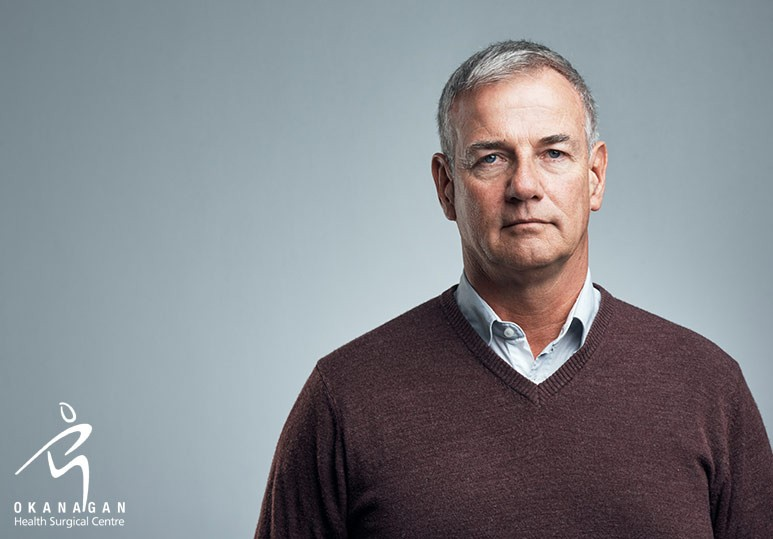 In today’s busy world, more and more men and women are seeking ways to turn back the clock and improve their appearance without going under the knife by using non-surgical cosmetic treatments. These procedures have many benefits over. . .
Due to aging and forces of gravity, many women in Kelowna are looking for ways to improve the lift and/or shape of their breasts. Depending on your concerns, cosmetic breast surgery, such as a breast lift or augmentation, can address a number of. . .
Is foot/ankle pain preventing you from living a comfortable and happy life? Learn more about how the foot fusion surgery at our Kelowna private hospital can quickly and safely restore your function and movement. Do you suffer from long-term. 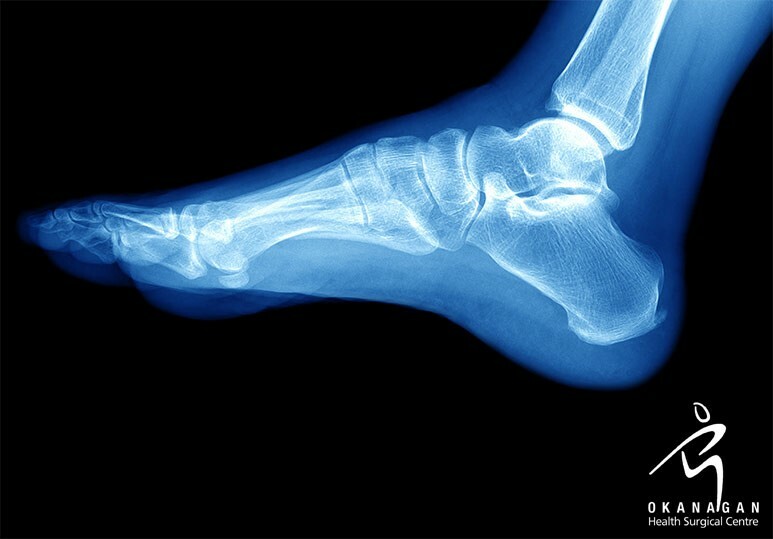 . .
Are you considering a foot fusion surgery? Here is a comprehensive recovery guide to help you understand what to expect after this foot surgery. 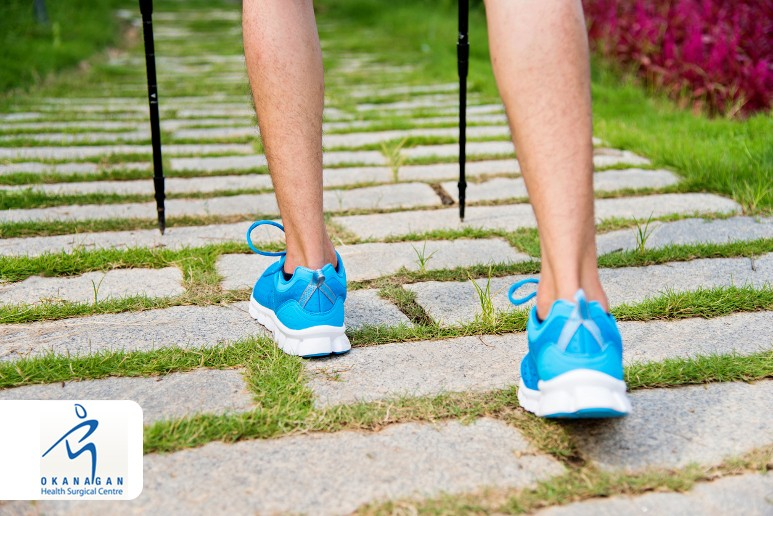 Are you experiencing pain and reduced mobility in your foot? A foot fusion can help restore the. . . Learn more about the world-class healthcare services, including cosmetic and general surgery, at our leading Kelowna private hospital. The health of you and your loved ones is too important to put at risk. Patients who opt for private hospitals. . .
Are you considering an abdominoplasty? Here are some simple tips to ensure your recovery period is as safe and quick as possible. An abdominoplasty, also known as a tummy tuck procedure, is a cosmetic body contouring surgery designed to. . . Whether you are opting for a cosmetic procedure such as body contouring, or require an urgent foot surgery, here's why the pre-operative period is so important. When performed by a board-certified plastic surgeon, cosmetic procedures such. . .
Are you considering plastic surgery for weight loss? Here’s everything you need to know about the laparoscopic gastric banding procedure at our Kelowna private hospital. There are several different types of surgery for weight loss, and. . .
Are you experiencing any pain, tingling or numbness in your hand? 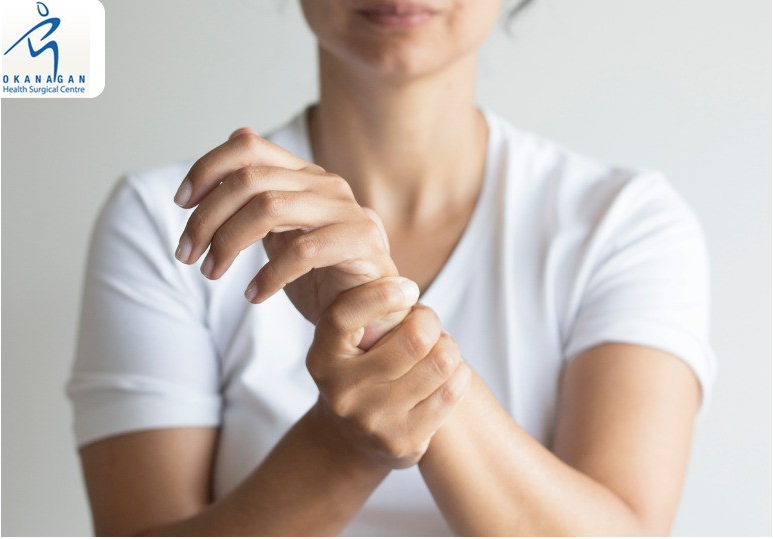 Here are the signs & symptoms of carpal tunnel syndrome and possible treatments at our Kelowna hospital. Your hands are vital. With them you perform many activities from. . .
Are you unhappy with the size and shape of your breasts? Here are some of the reasons why you might consider a combined breast augmentation-mastopexy at our Kelowna hospital. 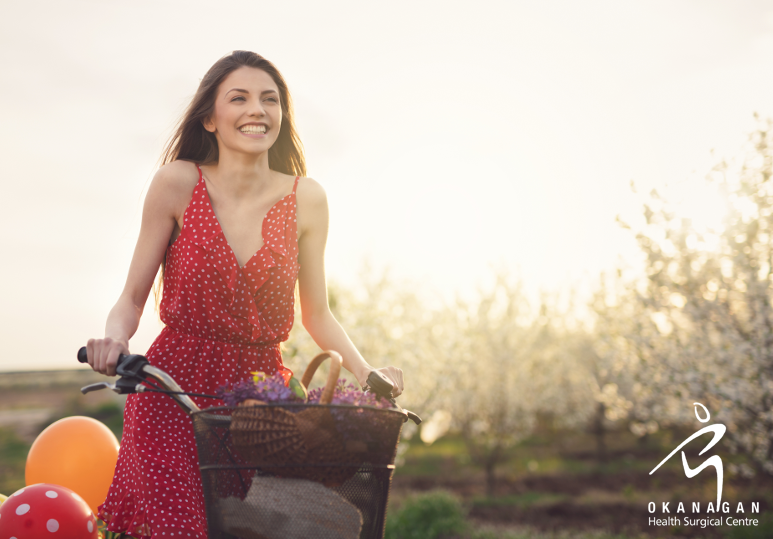 Today, there are a variety of breast surgery options that can improve. . . 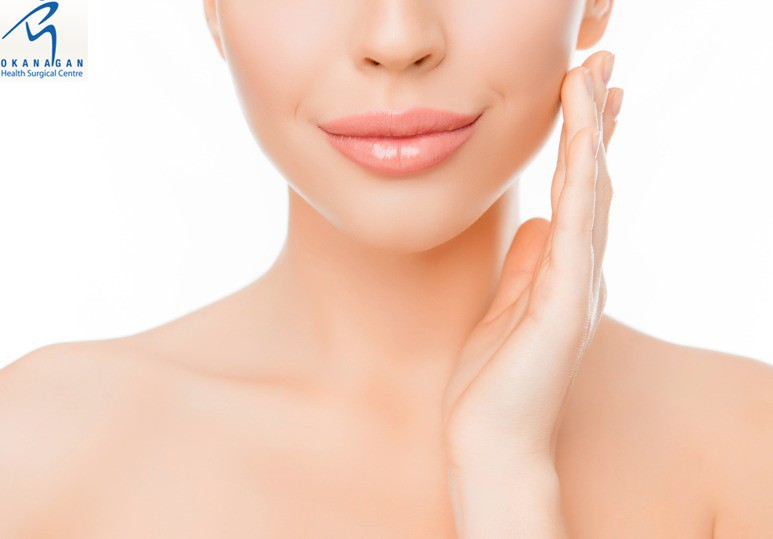 Fat Grafting vs Tissue Fillers: Which Rejuvenation Treatment is Right For You? 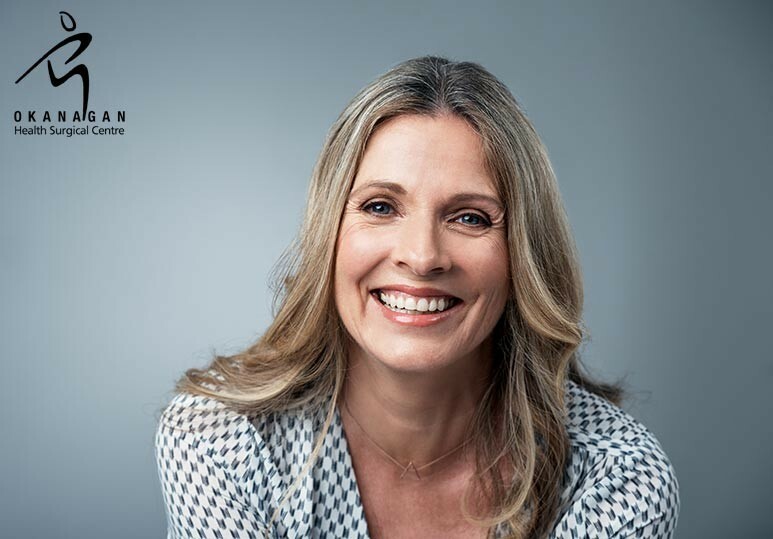 Get instant, natural and total facial rejuvenation results with the safe & minimally-invasive facial fat grafting procedures at our Kelowna private hospital. While it may be true that you can’t stop the aging process, at Okanagan Health. 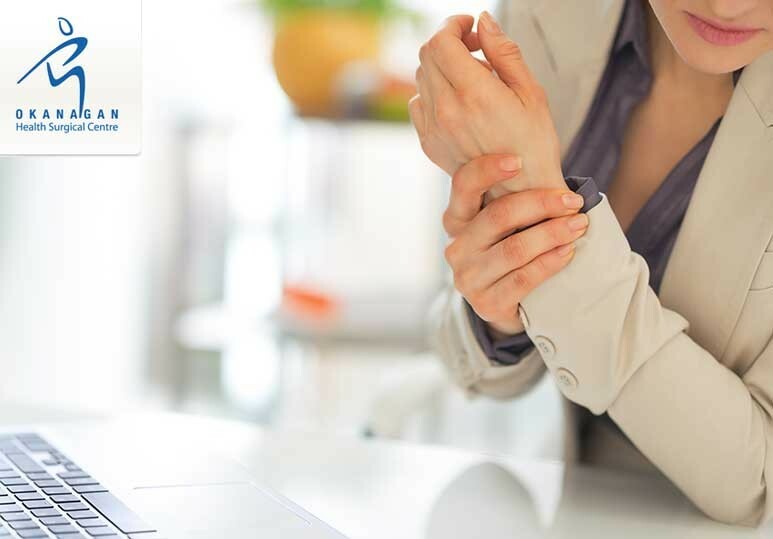 . .
From general surgery, to hand/wrist arthroscopy, our board-certified plastic surgeons can help restore the function to your body after an injury, helping you live a healthier, more productive and fulfilling life. Complexly designed with an. . . Looking to restore a more balanced and proportionally-pleasing facial appearance? From necklifts and eyelid surgery, to less-invasive treatments such as dermabrasion, we can help you look as young as you feel! Whilst you can’t turn back the. . . Looking to enhance your appearance? Find out which type of chin surgery is right for you. 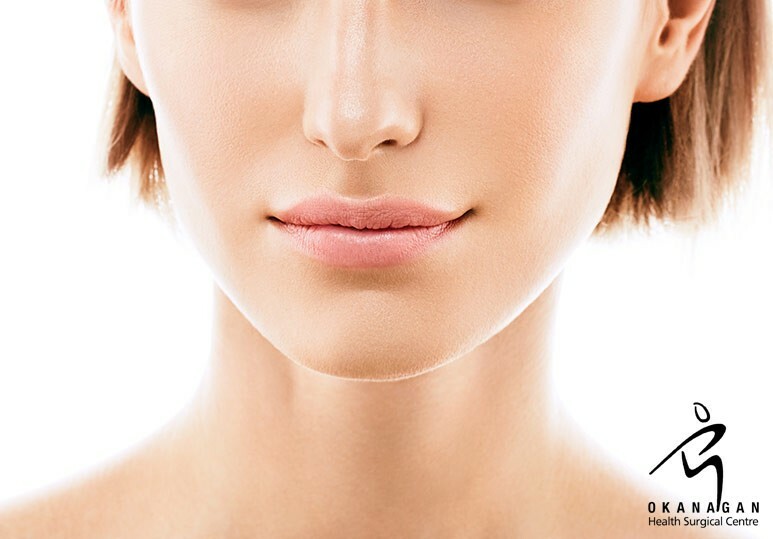 Chin surgery is designed to augment, reconstruct or rejuvenate the appearance of your chin. It can be used to correct a number of cosmetic concerns. . . Reverse the signs of aging and restore a youthful shape to your face with the facial fat grafting procedure at our private Kelowna hospital. Facial aging is inevitable and occurs mainly as a result of the changes in skin and the deeper soft. . . Worried about an achilles tendon rupture? Here's everything you need to know about the achilles tendon repair surgery at our Kelowna hospital. The achilles tendon is one of the largest and strongest tendons in the body, joining the calf. . .
Arthroscopy, otherwise known as arthroscopic surgery, is an advanced surgical procedure used by plastic/orthopedic surgeons to look at joints, diagnose problems & provide treatment. Joints are a key feature of the human body as they provide. . .
Do you want to look younger and more refreshed? For patients with aging skin, sagging eyebrows & loose forehead skin, a brow lift plastic surgery can create a complete facial transformation. As we age, our facial tissues become weak and. . .
Has your plastic surgeon recommended ACL reconstruction? Here’s what to expect from this surgery & how to achieve a quick and safe recovery. The anterior cruciate ligament (ACL) is one of the major ligaments in your knee and is critical to. . .
Like many other cosmetic surgery procedures, liposuction has come a long way over the years. Advancements in techniques have allowed plastic surgeons to remove excess fat more efficiently and safely shape the body. These developments have led to. . .
Palmar fasciectomy is a surgery to the hand to treat the effects of Dupuytren’s disease. Performed by a board-certified plastic surgeon, this procedure safely & effectively corrects the thickening of the skin of the palm. While many cases of. . . 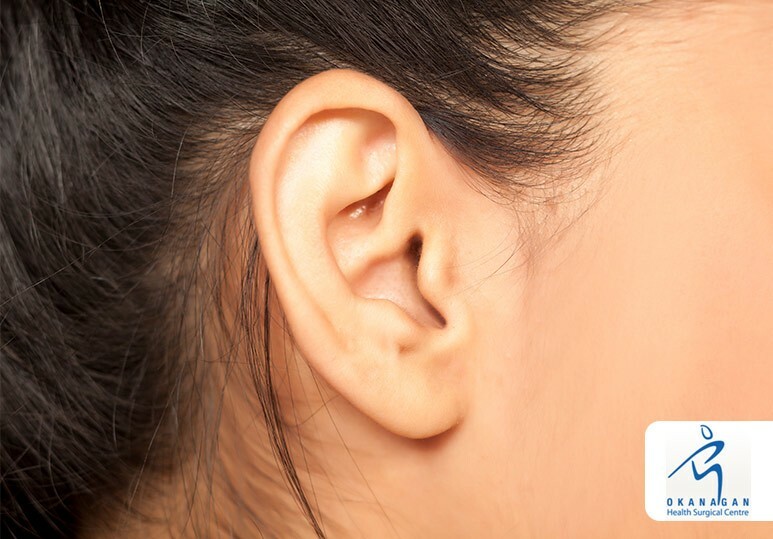 Ear surgery, also known as an otoplasty, is a cosmetic surgery designed to alter the size and shape of a patient’s ears. 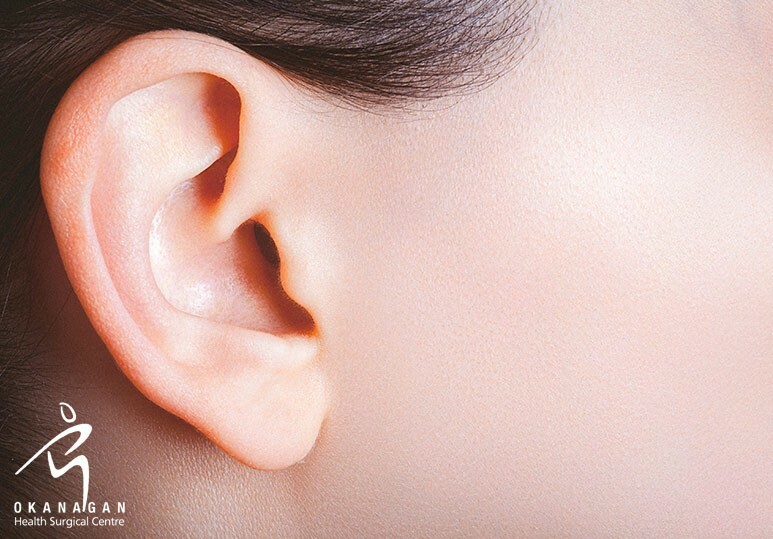 Performed by a board-certified plastic surgeon, an otoplasty is a safe and effective way to restructure your ear and restore a. . . Besides wrinkling and gravity, volume loss in the face has become increasingly recognized as an important component in the aging process. This can happen in many areas of the face including: Cheeks Lips Chin/Jawline Around the. . .
A vasectomy is a minor surgical procedure that is one of the safest and most effective forms of contraception for men. It has many benefits including: Simple and quick procedure (approximately 30 minutes) Highly reliable method of. . . 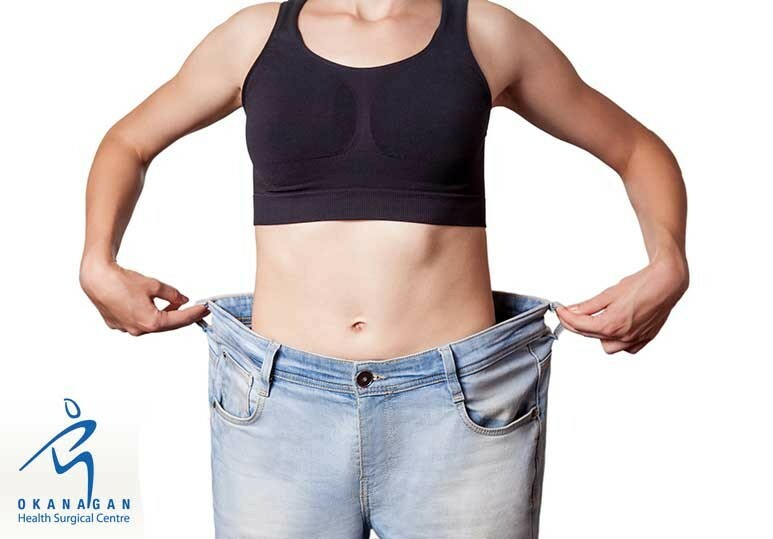 Losing weight is a significant challenge but often, even if you put in the hard work, you may need help eliminating stubborn pockets of fat, especially when fighting the effects of age or after a pregnancy. While traditional surgical procedures. . . 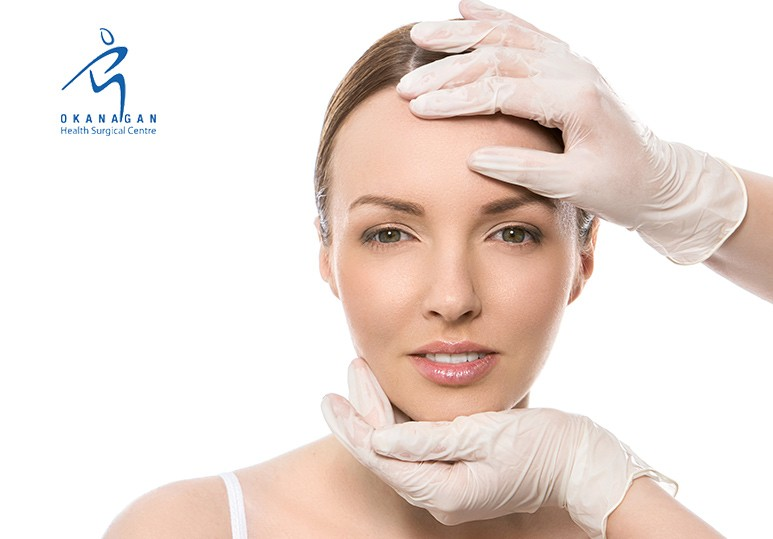 The facelift is one of the most frequently requested plastic surgeries at our Kelowna hospital to help patients achieve a more youthful appearance. 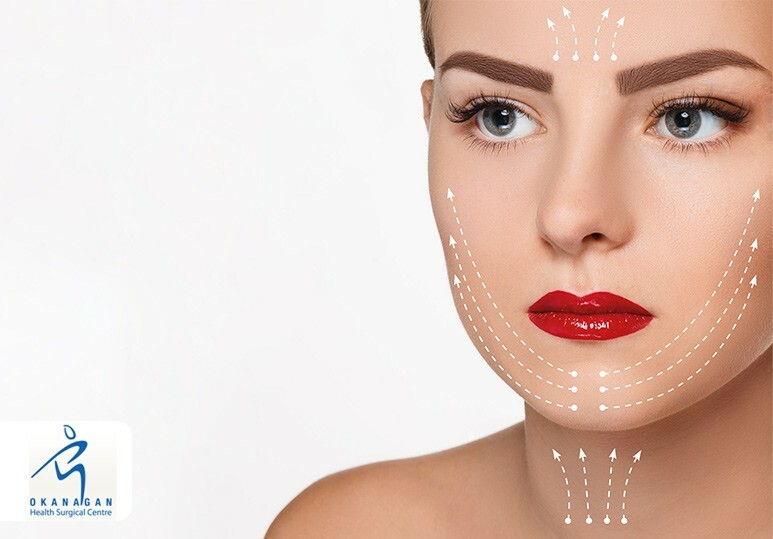 Over the years, facelift technologies and techniques have advanced to successfully and naturally. . . If you are looking to enhance the appearance of your bust line, there are a number of safe and effective options available. Two of the most popular procedures for breast enhancement are mastopexy (breast lift) and breast augmentation. The. . . Ear Surgery Ear surgery - also referred to as otoplasty - is a corrective cosmetic surgery which typically involves the plastic surgeon reshaping or resizing your ear. 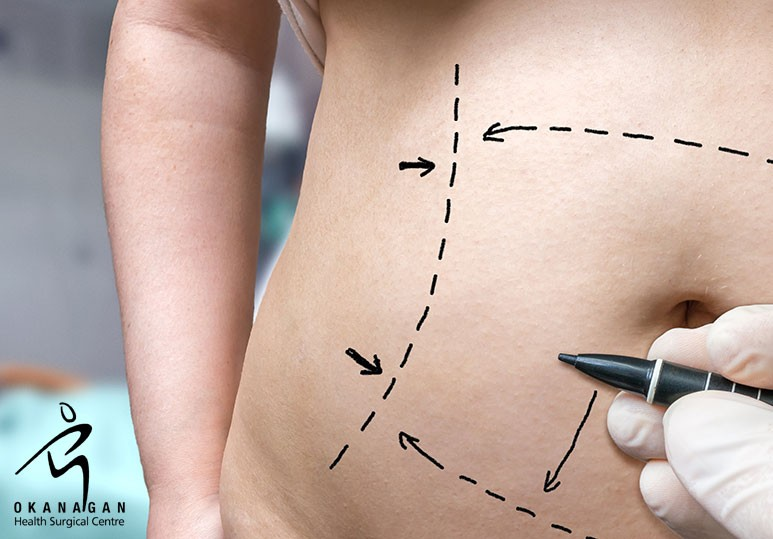 This safe and simple surgery uses minor incisions to alter the structure of. . . Considering plastic surgery? Here are a few things plastic surgeons wish you knew before choosing to go under the knife. 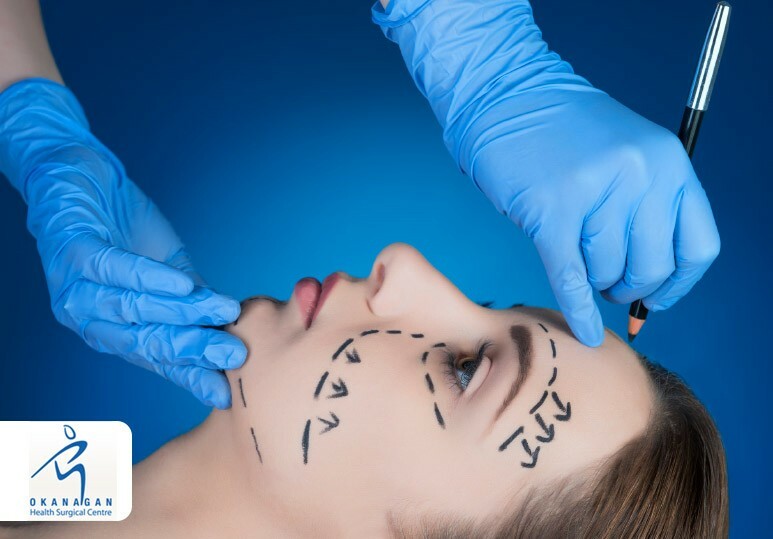 Overview With incredible advances being made in surgical and minimally invasive techniques, many plastic surgery. . . Considering plastic surgery for the first time? These 2017 trends in cosmetic treatment can help you choose your next procedure for the best results. Overview Plastic surgery is a perpetually evolving industry with new procedures and. . .
What Motivates People to Get Plastic Surgery? Plastic surgery has become increasingly popular over the recent years with a number of men and women opting for different procedures. Here are some reasons why you might want to enlist the help of a plastic surgeon. Overview There are many. . .
Blepharoplasty Basics (Kelowna Eyelid Surgery) How others perceive you is often determined a great deal by the framing of your eyes. Heavy upper eyelids, dark circles or bags around the eyes often lead to a tired and aged look. Blepharoplasty. . . 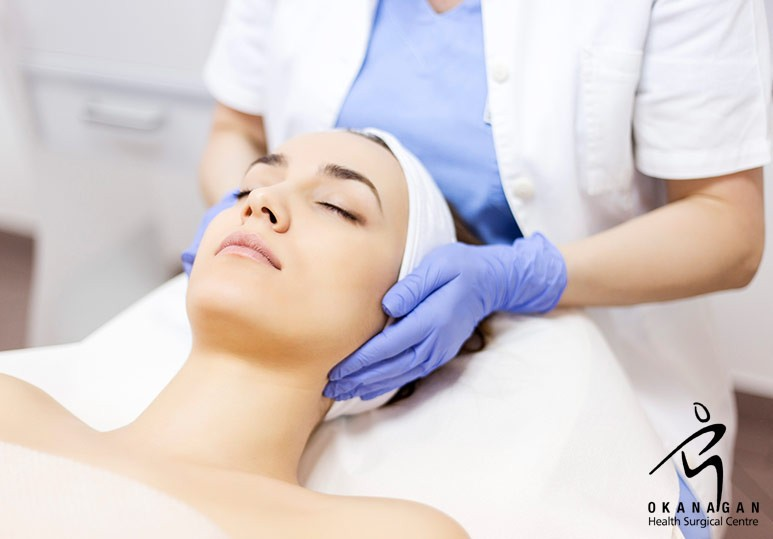 Neck Lift Aftercare & Recovery Performed as an isolated procedure or integrated in a facelift, a neck lift tackles one of the earliest onset ageing issues, allowing for a comprehensive re-contouring and rejuvenation of the neck. Plastic. . .
No matter how much you diet or exercise, there can be some body areas left with stubborn pockets of excess fat that just won’t shift. Liposuction is a cosmetic plastic surgery procedure that can help sculpt the body by removing unwanted fat. . .
Overview The loss of youthful facial contours is a common part of aging and can be due to a number of reasons including stress, heredity, gravity and environmental conditions. A facelift, or rhytidectomy, is a popular plastic surgery procedure. . .
An abdominoplasty, also known as a tummy tuck, is a body contouring procedure which involves the removal of excess sagging fat and skin to improve the shape and tone of the abdominal area. When performed by a board-certified plastic surgeon, this. . .
Overview A neck lift, also known as a lower rhytidectomy, is a plastic surgery procedure that improves visible signs of aging in the jawline and neck. 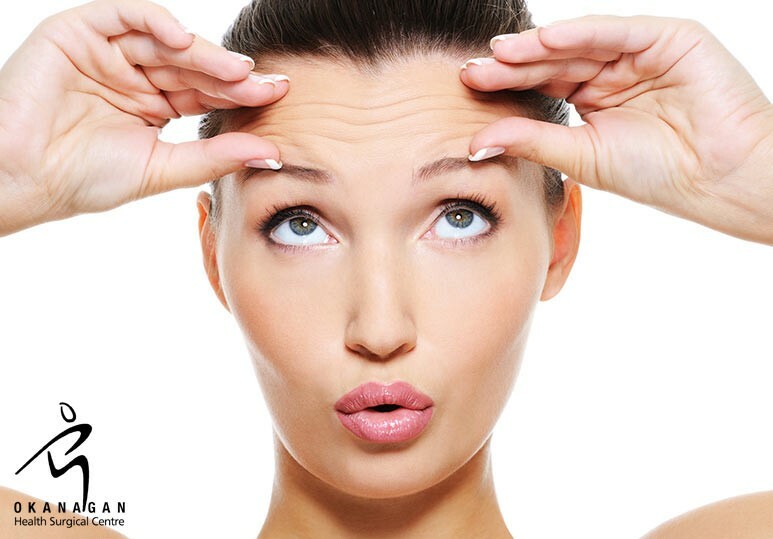 For patients who do not feel ready for a full facelift but notice excess wrinkling and loose. 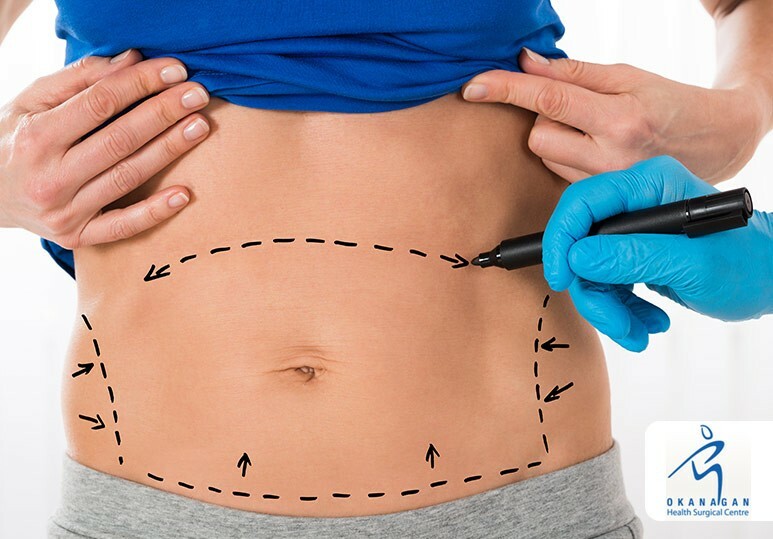 . .
Liposuction continues to be one of the most popular cosmetic surgical procedures chosen by plastic surgery patients at our Kelowna private hospital. 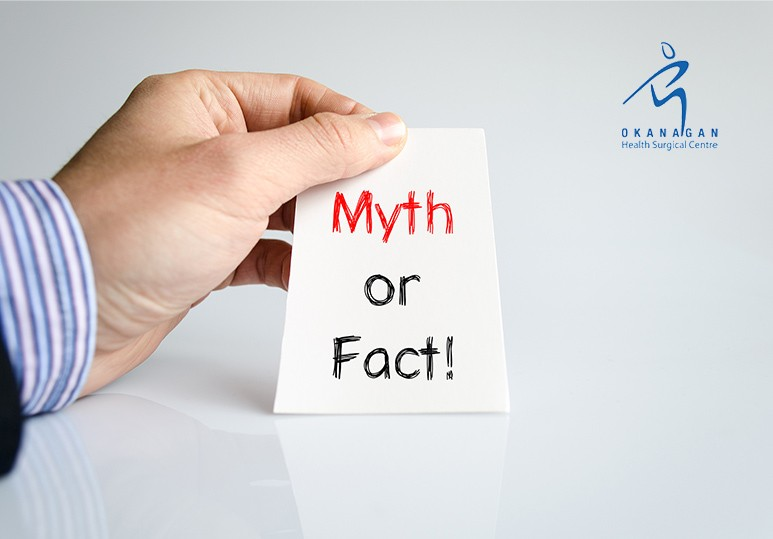 However, with this prevalence comes many misconceptions and myths about how the surgery is. . .
Laparoscopic adjustable gastric banding surgery - also called lap band surgery or adjustable gastric banding - is an increasingly popular weight loss procedure performed in Canada. Plastic surgeons recommend it as the simplest and least invasive. . .
Chin surgery - also referred to as chin augmentation - is an effective means to enhance facial definition and build a more exact profile. This simple and safe plastic surgery procedure uses implants to change the underlying structure of the face,. 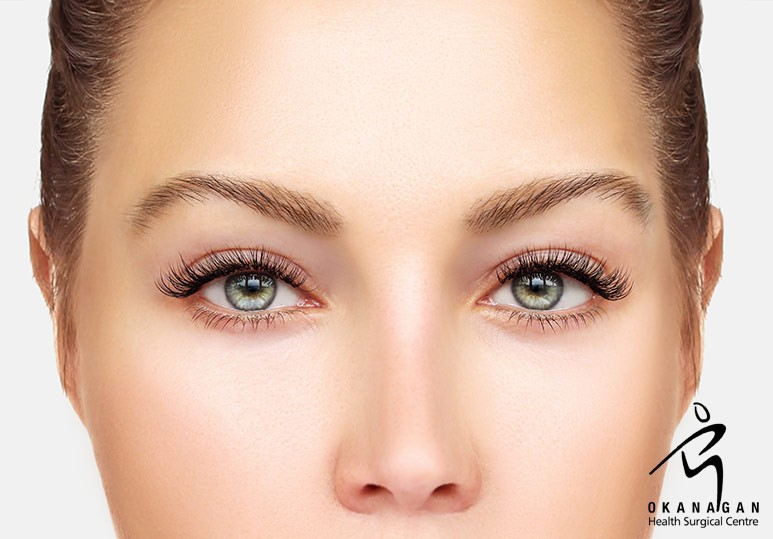 . .
Blepharoplasty, or eyelid surgery, is a surgical procedure during which a plastic surgeon will remove or reposition unnecessary skin or excess fat that has collected in the eyelids. This results in a more youthful, alert appearance. Learn More:. . .
With 2017 just two months away, it’s time to start thinking about setting a few New Year’s resolutions. For many people, this includes improving their appearance and health through diet and exercise. However, alone, this many not always. . . Whether you are deciding on cosmetic or reconstructive plastic surgery, there are many choices that you need to make. The most important are choosing a plastic surgeon who has the appropriate training, skills and experience to carry out the. . . When it comes to your skin, it is important to fully understand the procedures available to remove uneven blemishes and smooth any unwanted wrinkles. Microdermabrasion and dermabrasion, though they sound similar, can have drastically different. . . If you have managed to lose a significant amount of weight, whether through diet and exercise or a surgical procedure such as liposuction or an abdominoplasty, you deserve to be thrilled with the end result. However, if you are unhappy due to any. . .
A breast reduction procedure, also known as a reduction mammoplasty, is a type of breast surgery to remove excess breast fat and skin to achieve a breast size in proportion with your body. A breast reduction can: Decrease the size and. . .
A rhytidectomy, also known as a facelift, is a plastic surgery procedure aimed at tightening the skin of the face and the neck for a more youthful, alert appearance. A rhytidectomy can be carried out as single surgical procedure or combined with. . .
Browplasty, also known as a brow or forehead lift, is a surgical procedure that aims to ‘lift’ a drooping brow. This plastic surgery procedure can be performed for: Cosmetic purposes (eliminate deep creases or any unwanted facial. 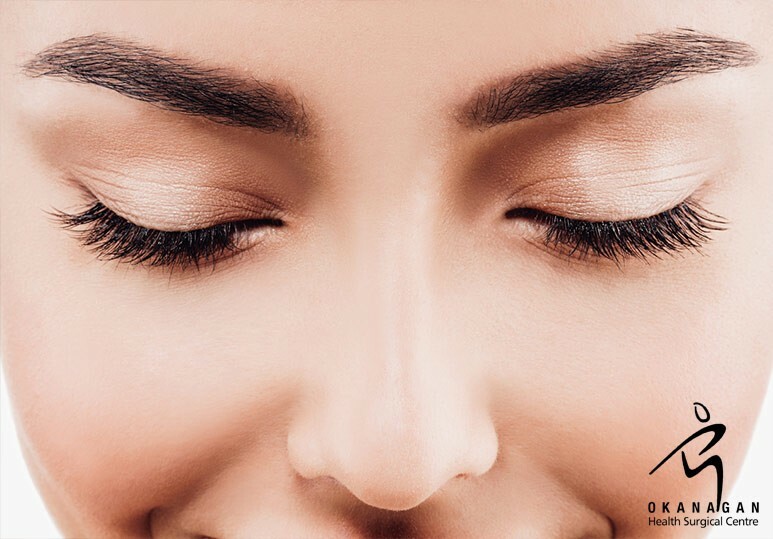 . .
Blepharoplasty, also known as eyelid surgery, is a plastic surgery procedure that rejuvenates tired-looking eyes to make them appear more youthful and refreshed. 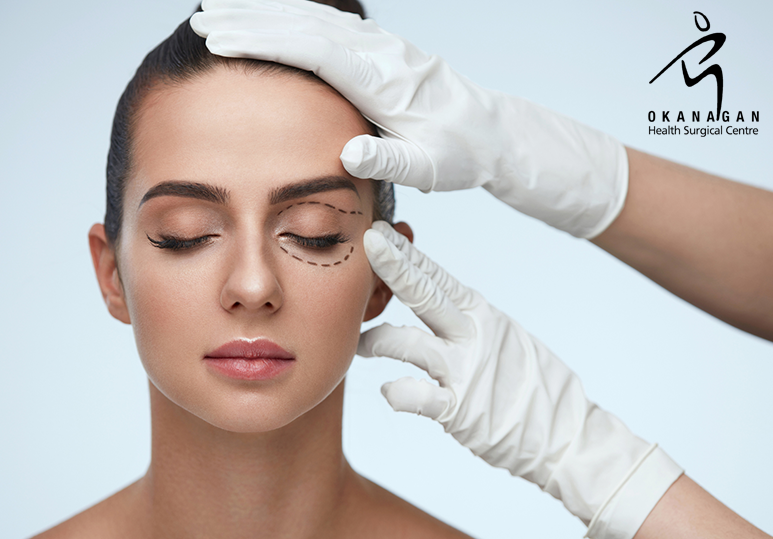 Upper Eyelid Surgery: Aims to remove any excess skin or fat from the upper. . .
What’s the Difference Between Cosmetic and Plastic Surgery? Okanagan Health Surgical Centre, is a private hospital situated in the heart of the Okanagan Valley. 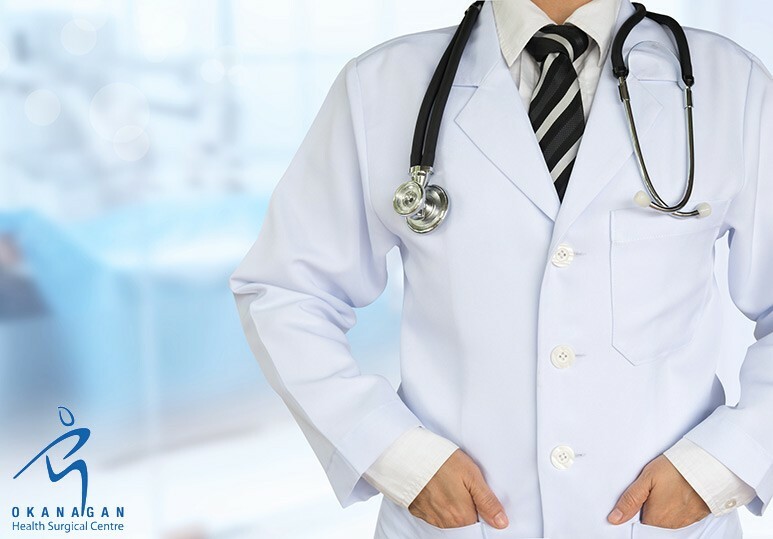 Our team of board-certified surgeons offer a range of safe and effective general, orthopedic, cosmetic and plastic surgeries to help enhance your. . .
What are the advantages of choosing a Private Hospital? The health of you and your family is too important to put at risk. Even if you eat the right foods, live an active lifestyle and have no family history of serious illness, there are no guarantees when it comes to your health. Patients who opt for. . . 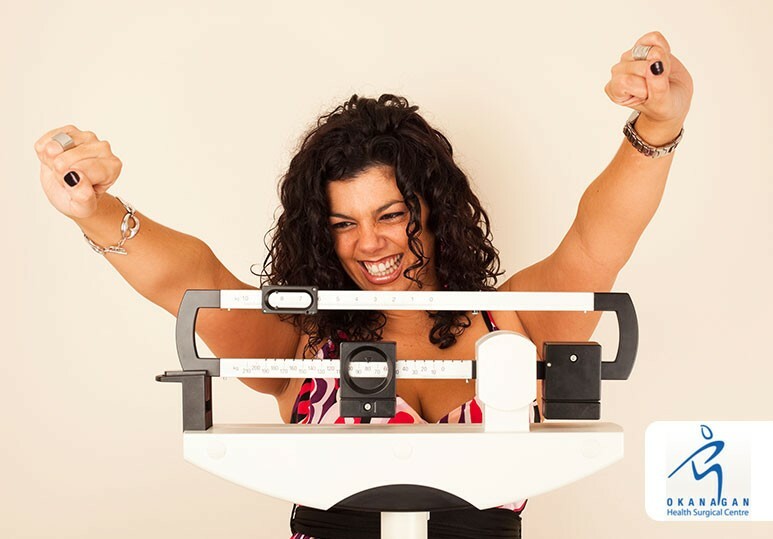 Plastic Surgery BEFORE Weight Loss If you are significantly overweight and have been unable to achieve a healthy body weight for a sustained period of time, even through medically-supervised dieting, then you could be a candidate for surgical. . . 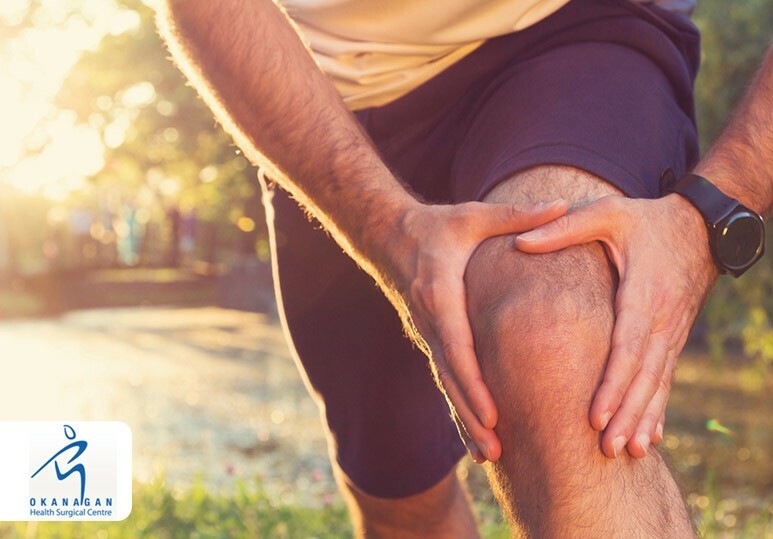 Similar to other joints in the body, your knees are vital to daily life and any injury or damage to this area can make even simple activities difficult. Knee injuries and chronic knee pain are common among those that participate in high impact. . . 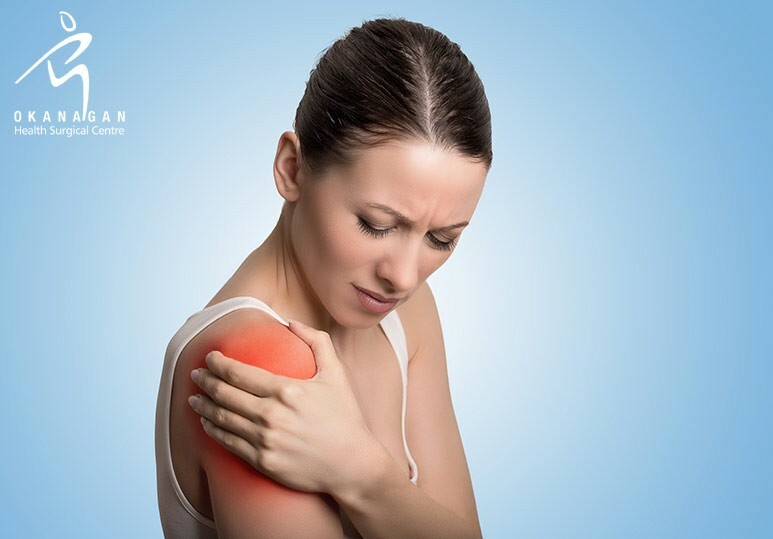 Your shoulders include some of the most frequently used joints in your body, so when there is an injury or damage to this area, the problem can be debilitating. Sometimes physical therapy and medication are all it takes to return your shoulder. . .
Have you noticed a new lump or bulge in your abdomen? Is there pain or discomfort in the area when you bend over, turn your body, or cough? 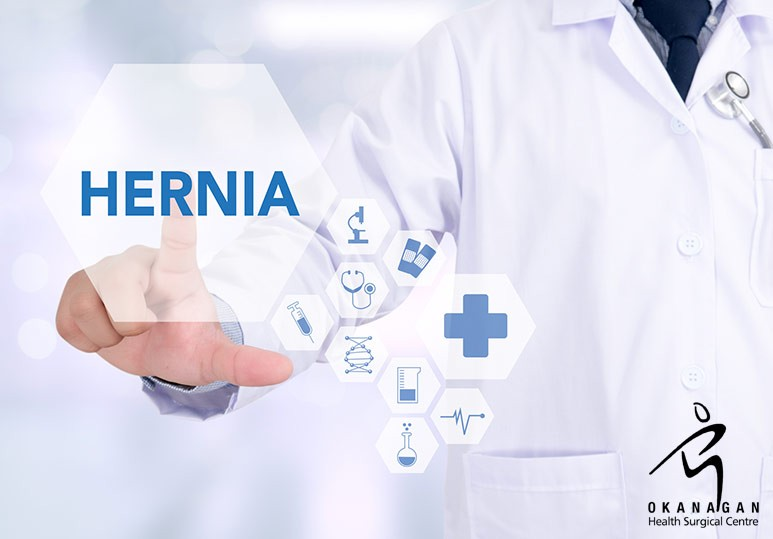 These symptoms can be signs of an abdominal hernia, a common condition in which an organ pushes through. 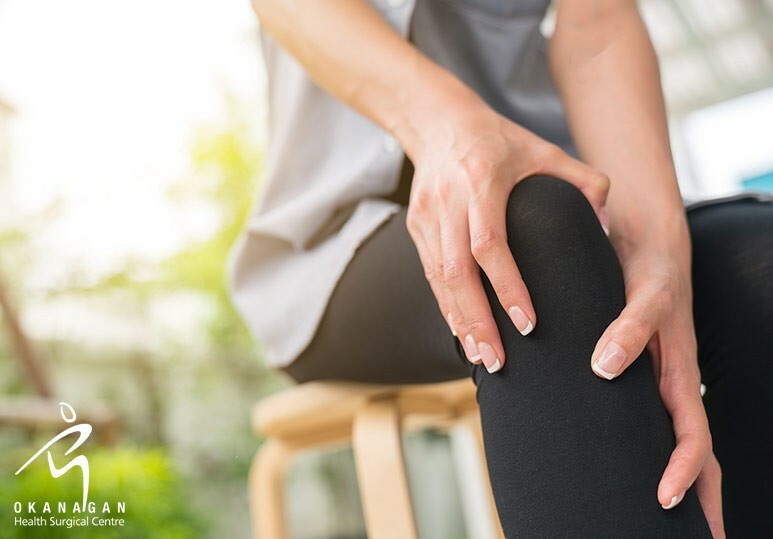 . .
At our private Kelowna-based surgery clinic, we encounter a wide range of musculoskeletal conditions, including injuries, trauma and deformity of the bones, joints, ligaments, muscles, tendons, and nerves. Orthopedic surgery is a highly. . .